Due to popular demand, the Big Screen on the Beach is back! This summer from 28 July to 28 August 2017, Watford Borough Council is bringing the Big Screen and sandy beach back to The Parade Watford. 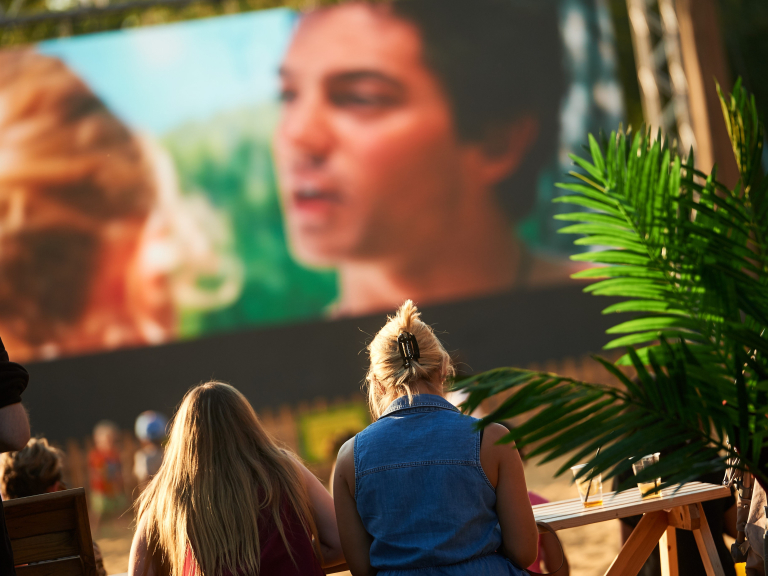 The Big screen on the Beach was a massive hit last summer and has been tipped as the place to be this summer. You can look forward to big blockbusters including the award winning La La Land, Sully, and Kong: Skull Island as well as some great classics such as Harry Potter, Sister Act and Back to the Future 2. It’s about to be a summer of sizzling sun (fingers crossed) and great movies in Watford and this is not to be missed. The fun doesn’t stop there, Ibis Hotel, one of the sponsors will be providing some of their comfy and luxurious beds to give people the ultimate big beach experience. That’s right; you can win the ultimate VIP experience and relax on a luxurious King sized bed with a cocktail or glass of champagne while you enjoy the movie, so make sure you’re on the lookout for how to win. And that’s not all; we’ll be turning our fun in the sun beach to an adult’s cocktail evening from 7:30 pm every day. Enjoy your evening movie with a cool sea breeze or a tequila sunrise sat round some romantic blue lighting with friends and loved ones whilst you enjoy some delicious food. So whether you’re coming to enjoy with the kids during the day or after work in the evening, we have something for everyone. Great food, mouth-watering drinks, delicious ice cream, tasty desserts, luxurious beds, an incredible line up of movies, sandy beach and lots of other great activities, it’s not to be missed! Last year was Big, this year will be better! Go on www.watfordbigevents.co.uk to find out all the details you need.